This bottle caught my eye months ago, and I finally got to have one. Can't resist a dragon with gold wings! 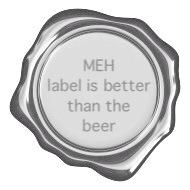 It's a simple label—a bit cartoony, but charming. Personally, I would love if this had some chili in it so you could feel like you were breathing fire like a dragon, but I'm not the one brewing this beer. The label says that it is "late hopped for maximum aroma and a refreshingly bitter finish", and I'd say with that they deliver what they promise. Unfortunately this bottle wasn't the freshest, but I can imagine this would be excellent if it had been. 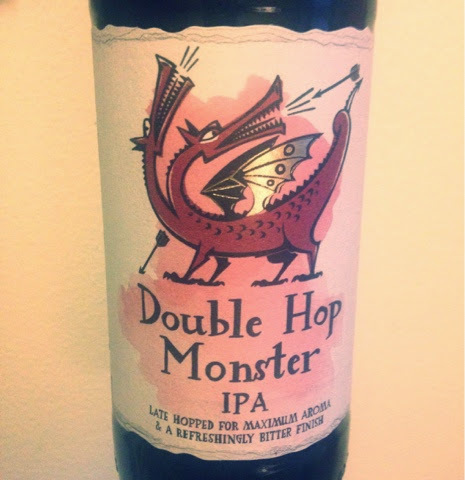 That said, this beer didn't blow me away; the dragon merely hiccupped some sparks and smoke, a shadow of what it could be. I wouldn't buy another bottle, but if I found it fresh on tap somewhere I would definitely give it another try.